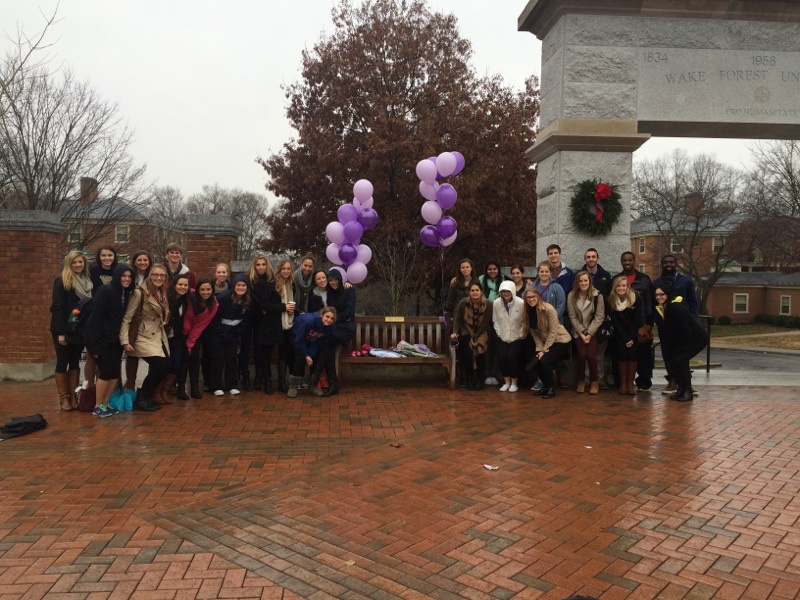 On December 6th, we celebrated and remembered Morgan through a Mass offering in Cincinnati, the 24-hour prayer vigil at Notre Dame and a special balloon release from friends at her memorial bench at Wake Forest. LifeCenter’s Organ Donation Network and The Studio for Dance changed their facebook pages with tributes to Morgan. Morgan’s brother Patrick delivered a touching monologue at the St. Xavier Christmas Concert on the meaning of Christmas through the loss of Morgan. We are so thankful for all the warm and comforting thoughts, prayers, and posts from family and friends as we remember our sweet angel Morgan. We also thank those who continue to contribute to her foundation at Greater Cincinnati Foundation, where we are blessed to have granted over $50,000 in scholarships and charitable contributions in her name. This entry was posted on December 27, 2014. Several special events took place in May 2014 which remind us that Morgan continues to impact so many lives. On Saturday May 3, 2014, the first annual Morgan Judd Award was given to the Wake Forest cheerleader/dancer who possesses some of the countless qualities Morgan displayed: sincerity, kindheartedness, humble leadership, a contagiously positive spirit, a radiating passion for dancing and a love and dedication for the dance team. The award was supposed to be awarded to a freshman, but instead was given to senior Krissy Cantin, who danced with Morgan and helped create this new award. We can’t think of a more deserving and perfect recipient than Krissy. 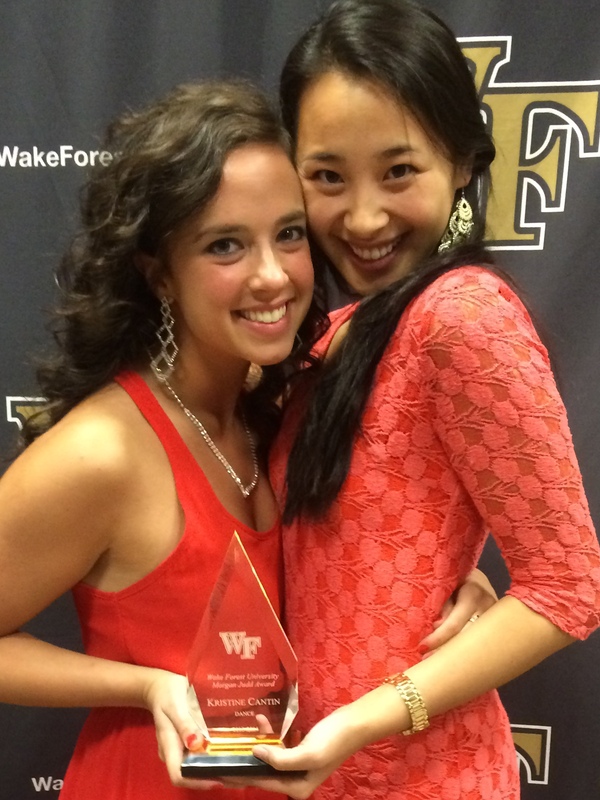 Attached is a picture of Krissy and Morgan’s roommate, Stephanie Hom with the award. We thank them and the Wake Forest community for keeping Morgan’s spirit alive through this award. On Sunday May 4, 2014, a special recognition event was hosted by the Elsa Sule Foundation to recognize the six recipients of the Morgan Judd scholarship award at Ursuline Academy for the 2013-2014 school year. Thanks to the generosity of the Else Sule Foundation, five scholarships were awarded to deserving students, and an additional scholarship was distributed through the Morgan Judd Fund at Ursuline. In the spirit of Morgan, recipients exhibit the Ursuline characteristics of having a positive attitude, meaningful impact on fellow students and faculty, strong academic standing and a commitment to community service. The event was a beautiful sharing of stories of Elsa Sule and Morgan and also getting to know the scholarship recipients and their families. Special thanks to Ruth Klette, trustee of the Elsa Sule Foundation and Ursuline Academy for coordinating the event. 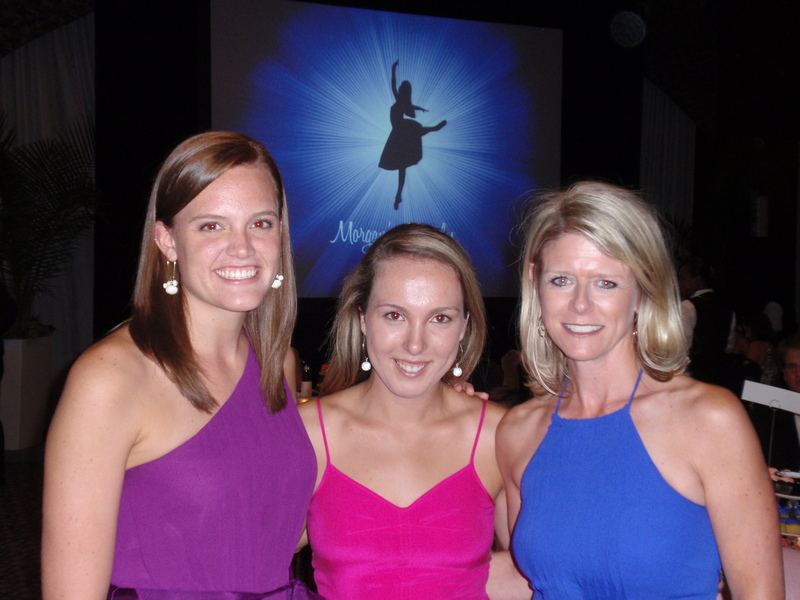 May was also a special month with the annual recital by the Studio for Dance with memories of Morgan. At St. Mary Grade School, the annual Morgan Judd scholarship was awarded to a deserving 8th grade student at graduation. And finally, we attended the special graduation for the Cincinnati Ballet CincyDance! program students for which grants from the Morgan Judd Memorial Fund helped supply uniforms for students this year. So many of these special events for Morgan were made possible through the generosity of family and friends through the gifts of time and treasures.. We thank you very much and we know our angel continues to be alive in our hearts and making a difference through events such as these. This entry was posted on June 1, 2014. On August 9, 2013 we celebrated and remembered Morgan’s life at the second annual Gala event at the Cintas Center. Over 350 were in attendance for a fun-filled and heartwarming evening with friends and family. 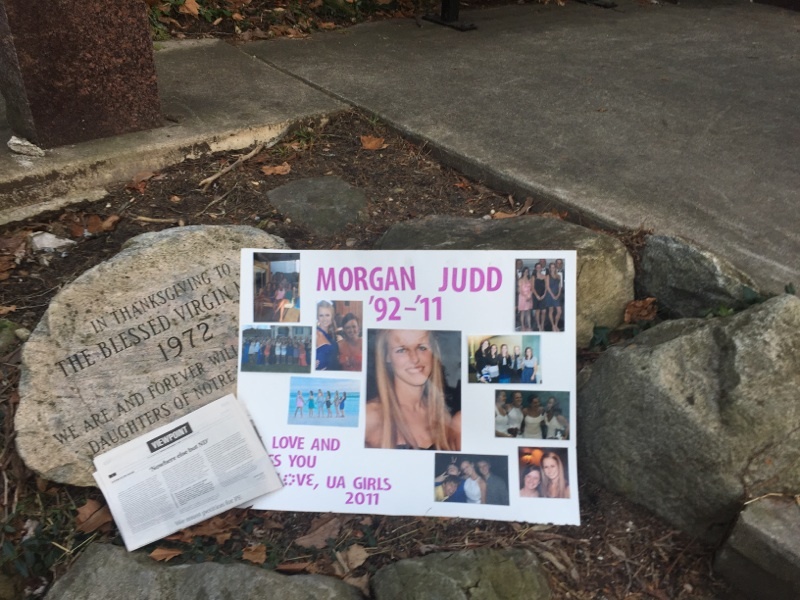 Videos were shared of a special tribute to Morgan by the Wake Forest dance team, and also charities supported through the Morgan Judd Memorial Fund. Once again we’d like to thank everyone who helped make this evening possible, especially Libby CaJacob and Kristin Brown. Through the generosity of many, we raised a significant funds for the Memorial Fund, which will be used in our effort to impact others in the spirit of Morgan. We love you Morgan and miss you every day!!!! This entry was posted on October 6, 2013. This week marked one-year since the passing of our sweet Morgan. While this is a difficult time because we love and miss her dearly, it is also a time to reflect on and celebrate the blessings of her amazing life. On Thursday December 6th, there were several remembrances for Morgan that truly touched our hearts. Our family and close friends gathered at St. Mary Church for a Mass offered for Morgan. 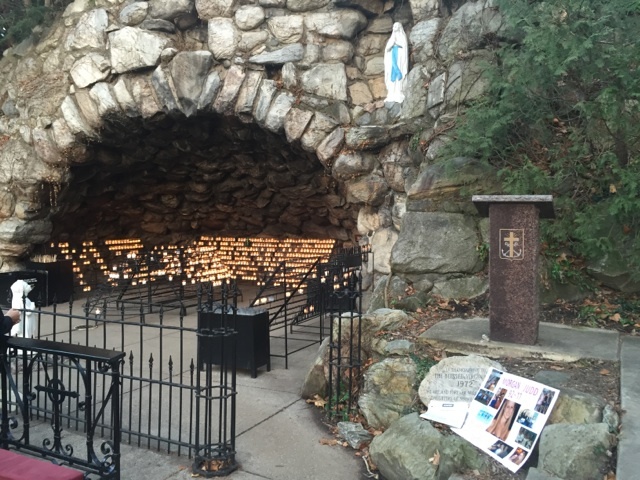 At Notre Dame, Michael’s friends organized a 24-hour prayer vigil at the Grotto for Morgan (see picture above with candles laid out as “MJ”). At Ohio State and Miami, friends prayed and lit chinese lanterns for Morgan. 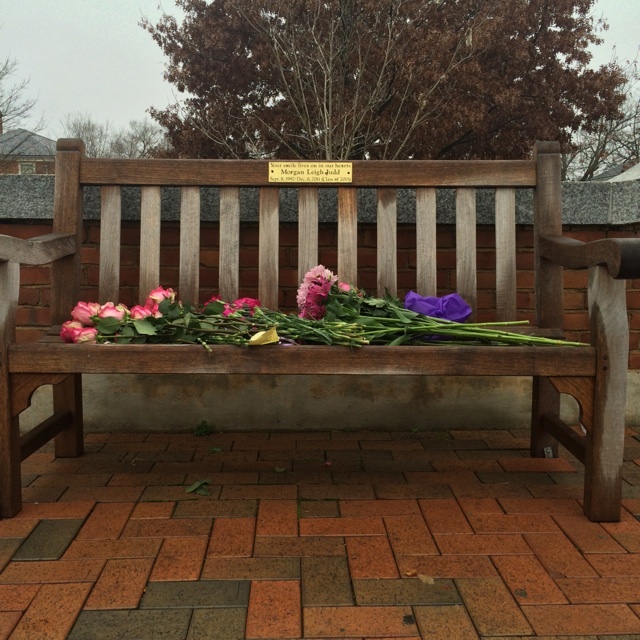 At Wake Forest, her dance team and friends gathered at her memorial bench on campus. The Studio for Dance released balloons with personal messages into the sky for Morgan and then went to Orange Leaf (Morgan’s favorite). We are so grateful for the outpouring of love and support from family and friends over the past year. Thanks for being there with us during this journey, and for sharing your faith-filled thoughts and prayers for Morgan and our family. We challenge ourselves everyday to live our lives with the passion and positive spirit that Morgan so generously gave to others. We are comforted knowing that Morgan is now with God in eternal life, and continues to watch over us as our dancing angel. We pray for the health of the recipients of her organ donations, and are blessed to continue her legacy of caring for others through her Memorial Fund. Morgan, we love you and your smile will always live on in our hearts. This entry was posted on December 9, 2012. On Friday, August 3, 2012, the Morgan Judd Memorial Gala was held at Xavier University with almost 450 in attendance. It was a beautiful evening filled with remembrance, love and laughter. We are so blessed to have the support of friends and family, and it was most evident that night as we remembered and celebrated the life of Morgan. Special thanks to all who made this evening possible, especially Libby CaJacob and Kristin Brown who were instrumental in helping organize the event. We raised over $15,000 to the support the charities of the Morgan Judd Memorial Fund, which will make a huge difference in the lives of others in the spirit of Morgan. We know Morgan is always looking down on us and smiling, especially that night seeing everyone on the dance floor! We miss you every day Morgan; You will forever be dancing in our hearts. This entry was posted on August 19, 2012. 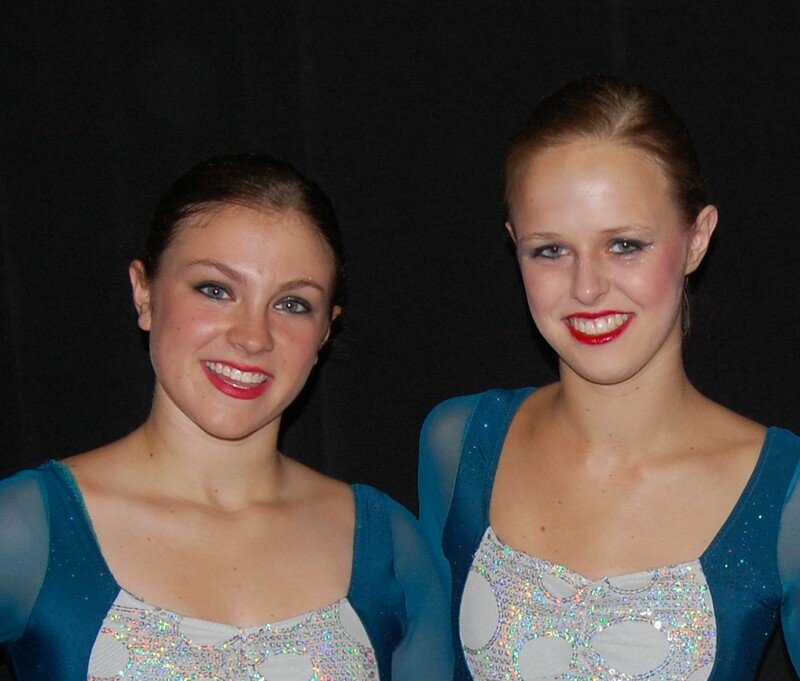 On May 27, 2012, the Studio for Dance dedicated this year’s recital in memory of our precious Morgan. It was a beautiful and heartfelt performance; we were so touched by the courage and strength of the girls to perform dances in memory of Morgan. Morgan’s dear friend and former dancing partner, Jessica Duncan, performed a beautiful lyrical solo to the song “For Good” from Wicked, which she renamed “For Morgan”. The Senior Company then joined Jessica in a contemporary ballet piece “Our Dancing Angel”, to the music of “Danced in the Morning”. Both dances were incredibly choreographed by Jeanne Harper. We would like to extend a huge thank you to the girls for touching us with this beautiful tribute to Morgan which we will always cherish. We know Morgan was dancing with you, as always, and smiling down from Heaven. She would be so proud of each and every one of you! The Studio for Dance was Morgan’s passion and love since she was 12 years old. We are so grateful to owner Shari Poff, the wonderful dance instructors, staff and fellow students who were truly family to Morgan over the years. Many of her happiest moments, best friendships and proudest accomplishments were all because of the Studio. Thank you for continuing to be there for us and providing comfort over the last several months. The memories of her six years at the Studio, including countless competitions, performances with the Cincinnati Pops, Windsor Symphony, etc., were all brought to a bittersweet conclusion by your incredible tribute on recital weekend. We will forever hold these memories, and all of her studio family, in a special place in our hearts. This entry was posted on June 4, 2012.